Kellermeyer Bergensons Services (KBS), a portfolio company of GI Partners, has acquired Capital Contractors from Palladium Equity Partners. GI Partners acquired KBS from Kohlberg & Company in October 2014 and Palladium acquired Capital Contractors in September 2009. Capital Contractors is a provider of janitorial and facilities maintenance services to the education, hospitality, healthcare, commercial, retail and industrial markets. Customers of the company include national chains and local businesses and Capital Contractors serves more than 4,000 client sites across multiple states and Canada. Capital Contractors was founded in 1932 and is headquartered on Long Island in Islandia, NY (www.capitalcontractors.com). 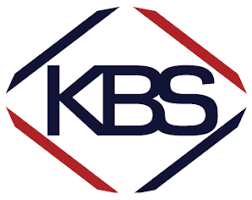 KBS’s services include contract cleaning, housekeeping and floor care, landscaping, parking lot maintenance, window cleaning, facilities support and general facilities repair. The company serves the industrial, commercial, logistics, retail, and grocery sectors and has more than 45,000 active customer locations in all 50 US states, Canada, and Puerto Rico. 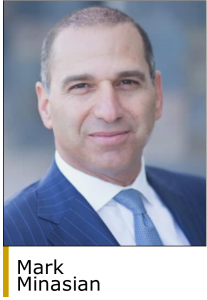 KBS, led by CEO Mark Minasian, is headquartered in Oceanside, CA with an additional office in Maumee, OH (www.kbs-clean.com). KBS’s last add-on acquisition was the March 2018 buy of Emmaculate Reflections, a Fort Lauderdale, FL-based provider of janitorial services to the food service, restaurant, entertainment and hospitality industries. The company serves 20 states east of the Mississippi River and Texas (www.emmaculatereflections.com). GI Partners makes control equity investments in companies with enterprise values of $250 million to $1 billion that are active in the IT infrastructure, healthcare, software, and services sectors. The firm also invests in real estate. In November 2017, the firm held a final closing of GI Partners Fund V LP at an oversubscribed and hard cap of $2.8 billion. 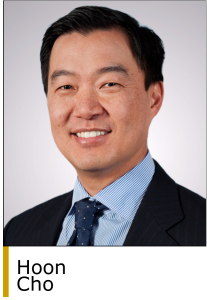 In March 2019 Blackstone, through its Strategic Capital Holdings Fund, acquired a minority stake in the firm. GI Partners was founded in 2001 and is based in San Francisco (www.gipartners.com). Palladium invests from $50 million to $150 million of equity in companies that have $10 million to $75 million of EBITDA. Sectors of interest include food and consumer, services, industrials, and healthcare. Palladium has a focus on companies that operate in the US Hispanic market. Since its founding in 1997, Palladium has invested over $1.9 billion of capital in more than 33 platform investments and completed over 130 add-on acquisitions. The firm is based in New York (www.palladiumequity.com).